1. Prasad AN, Stafstrom CE, Holmes GL. 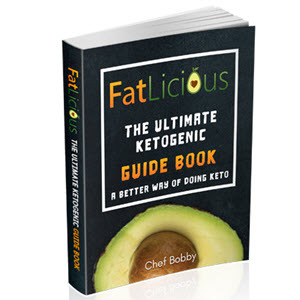 Alternative epilepsy strategies: the ketogenic diet, immunoglobulins, and steroids. Epilepsia 1996;37 (Suppl 1):S81-S95. 2. Merritt HH, Putnam TJ. Sodium diphenylhydantoinate in the treatment of convulsive disorders. J Am Med Assoc 1938;111:1068-1073. 3. Richards RK, Everett GM. Analgesic and anticonvulsive properties of 3,5,5-trimethyloxazoliidine-2,4-dione (Tridione). Fed Proc 1944;3:39. 4. Krall RL, Penry JK, White BG, Kupferberg HJ, Swinyard EA. Antiepileptic drug development: II. Anticonvulsant drug screening. Epilepsia 1978;19:409-428. 5. Schachter SC. Current evidence indicates that antiepileptic drugs are anti-ictal, not antiepileptic. Epilepsy Res 2002;50:67-70. 6. Jacobs MP, Fischbach, GD, Davis, MR, Dichter MA, Dingledine R, Lowenstein DH, Morrell MJ, Noebels JL, Rogawski MA, Spencer SS, Theodore WH. Future directions for epilepsy research. Neurology 2001;57:1536-1542. 7. Meldrum B. Do preclinical seizure models preselect certain adverse effects of antiepileptic drugs? Epilepsy Res 2002;50:33-40. 8. Sankar R, Weaver DF. Basic principles of medicinal chemistry. In: Engel J Jr, Pedley TA (eds.). Epilepsy: A Comprehensive Textbook, Vol. 2. Philadelphia, Lippincott-Raven, 1997, pp. 1394-1403. 9. MacLean MJ, Macdonald RL. Multiple actions of phenytoin on mouse spinal cord neurons in cell culture. J Pharmacol Exp Ther 1983;227:779-789. 10. Schwarz J, Grigat G. Phenytoin and carbamazepine: potential- and frequency-dependent block of Na+ currents in mammalian myelinated nerve fibers. Epilepsia 1989;30:286-294. 11. Jung MJ, Lippert B, Metcalf BW, Bohlen P, Schechter PJ. Gamma-vinyl GABA (4-amino-hex-5-enoic acid), a new selective irreversible inhibitor of GABA-T; effects on brain GABA metabolism in mice. J Neurochem 1977;29:797-802. 12. Browne TR, Mattson RH, Penry JK, Smith DB, Treiman DM, Wilder BJ, Ben-Menachem E, Napoliello MJ, Sherry KM, Szabo GK. Vigabatrin for refractory complex partial seizures. Multicenter single-blind study and long-term follow-up. Neurology 1987;37:184-189. 13. Sayin Ü, Cengiz S, Altug T. Vigabatrin as an anticonvulsant against pentylenetetrazol seizures. Pharmacol Res 1993;28:325-331. 14. Hosford DA, Wang Y. Utility of the lethargic (LH/LH) mouse model of absence seizures in predicting the effects of lamotrigine, vigabatrin, tiagabine, gabapentin, and topiramate against human absence seizures. Epilepsia 1997;38:408-414. 15. Schechter PJ, Trainier Y, Jung MJ, Sjoerdsma A. Antiseizure activity of y-acetylenic y-aminobutyric acid: a catalytic irreversible inhibitor of y-aminobutyric acid transaminase. J Pharmacol Exp Ther 1977;201:606-612. 16. Schechter PJ, Trainier Y. Effect of elevated brain GABA concentration on the actions of bicuculline and picrotoxin in mice. Psychopharmacology 1977;54:145-148. 17. Gale K, Iadorola MJ. Seizure protection and increased nerve terminal GABA: delayed effects of GABA transaminase inhibition. Science 1980;208:288-291. 18. Gale K. Role of the substantia nigra in GABA-mediated anticonvulsant actions. In: Delgado-Escueta, Ward AA, Woodbury DM, Porter RJ (eds.). Basic Mechanisms of the Epilepsies: Molecular and Cellular Approaches. Raven, New York, Advances in Neurology, Vol. 44, 1986, pp. 343-364. 19. Appleton DB, DeVivo DC. An animal model for the ketogenic diet. Epilepsia 1974;15:211-227. 20. Macdonald RL. Cellular effects of antiepileptic drugs. In: Engel J Jr and Pedley TA (eds.). Epilepsy: A Comprehensive Textbook, Vol. 2. Philadelphia, Lippincott-Raven, 1997, pp. 1383-1391. 21. Llinas R, Yarom Y. Properties and distribution of ionic conductances generating electroresponsive-ness of mammalian inferior olivary neurones in vitro. J Physiol 1981;315:569-584. 22. Swinyard EA. Laboratory evaluation of antiepileptic drugs. Epilepsia 1969;10:107-119. 23. Wilder RM. The effects of ketonemia on the course of epilepsy. Mayo Clin Bull 1921;2:307-308. 24. Freeman JM, Kelly MT, Freeman JB. The Epilepsy Diet Treatment: An Introduction to the Ketogenic Diet. Demos, New York, 1994. 25. Huttenlocher PR, Wilbourn AJ, Signore JM. Medium-chain triglycerides as a therapy for intractable childhood epilepsy. Neurology 1971;21:1097-1103. 26. Thavendirinathan P, Mendonca A, Dell C, Likhodii SS, Musa K, Iracleous C, Cunnane SC, Burnham WM. The MCT ketogenic diet: effects on animal seizure models. Exp Neurol 2000;161:696-703. 27. DeVivo DC, Leckie MP, Ferrendelli JS, McDougal DB Jr. Chronic ketosis and cerebral metabolism. Ann Neurol 1978;3:331-337. 28. Al-Mudallal AS, LaManna JC, Lust WD, Harik SI. Diet-induced ketosis does not cause cerebral acidosis. Epilepsia 1996;37:258-261. 29. Bough KJ, Eagles DA. A ketogenic diet increases the resistance to pentylenetetrazole-induced seizures in the rat. Epilepsia 1999;40:138-143. 30. Bough KJ, Eagles DA. Comparison of the anticonvulsant efficacies and neurotoxic effects of valproic acid, phenytoin, and the ketogenic diet. Epilepsia 2001;42:1345-1353. 31. Likhodii SS, Musa K, Mendonca A, Dell C, Burnham WM, Cunnane SC. Dietary fat, ketosis, and seizure resistance in rats on the ketogenic diet. Epilepsia 2000;41:1400-1410. 32. DeVivo DC, Fujimoto K, Leckie MP, Agrawal HC. Subcellular distribution of ketone body metabolizing enzymes in the rat brain. J Neurochem 1976;26:635-637. 33. DeVivo DC. The effects of ketone bodies on glucose utilization. In: Passoneau JV, Hawkins RA, Lust WD, Welsh FA (eds.). Cerebral Metabolism and Neural Function. Williams & Wilkins, Baltimore, 1980, pp. 243-254. 34. Yeh Y-Y, Sheehan PM. Preferential utilization of ketone bodies in the brain and lung of newborn rats. Fed Proc 1985;44:2352-2358. 35. Adam PAJ, Räihä N, Rahiala E-L, Kekomäki. Oxidation of glucose and D-ß-OH-butyrate by the early human fetal brain. Acta Paediatr Scand 1975;64:17-24. 36. Bough KJ, Valiyil R, Han FT, Eagles DA. Seizure resistance is dependent upon age and calorie restriction in rats fed a ketogenic diet. Epilepsy Res 1999;35:21-28. 37. Bough KJ, Chen RS, Eagles DA. Path analysis shows that increasing ketogenic ratio, but not ß-hydroxybutyrate, elevates seizure threshold in the rat. Dev Neurosci 1999;21:400-406. 38. Uhlemann ER, Neims AH. Anticonvulsant properties of the ketogenic diet in mice. J Pharmacol Exp Ther 1972;180:231-238. 39. Huttenlocher PR. Ketonemia and seizures: metabolic and anticonvulsant effects of two ketogenic diets in childhood epilepsy. Pediatr Res 1976;10:536-540. 40. Otani K, Yamatodani A, Wada H, Mimaki T, Yabuuchi T. Effect of ketogenic diet on convulsive threshold and brain monoamine levels in young mice. No To Hattatsu 1984;16:196-204. 41. Bough KJ, Yao SG, Eagles DA. Higher ketogenic diet ratios confer protection from seizures without neurotoxicity. Epilepsy Res 2000;38:15-25. 42. Harik SI, Al-Mudallal AS, LaManna JC, Lust WD, Levin BE. Ketogenic diet and the brain. Ann N Y Acad Sci 1997;835:218-224. 43. Harney JP, Madara J, Madara J, I'Anson H. Effects of acute inhibition of fatty acid oxidation on latency to seizure and concentrations of ß-hydroxybutyrate in plasma of rats maintained on calorie restriction and/or the ketogenic diet. Epilepsy Res 2002;49:239-246. 44. Thio LL, Wong M, Yamada KA. Ketone bodies do not directly alter excitatory or inhibitory hip-pocampal synaptic transmission. Neurology 2000;54:325-331. 45. Cullingford TE, Eagles DA, Sato H. The ketogenic diet upregulates expression of the gene encoding the key ketogenic enzyme mitochondrial 3-hydroxy-3-methylglutaryl-CoA synthase in rat brain. Epilepsy Res 2002;49:99-107. 46. Cullingford TE, Dolphin CT, Bhakoo KK, Peuchen S, Canevari L, Clark JB. Molecular cloning of rat mitochondrial 3-hydroxy-3-methylglutaryl-CoA lyase and detection of the corresponding mRNA and of those encoding the remaining enzymes comprising the ketogenic 3-hydroxy-3-methylglutaryl-CoA cycle in central nervous system of suckling rat. Biochem J 1998;329:373-381. 47. Daniel PM, Love ER, Moorehouse SR, Pratt OE, Wilson P. Factors influencing utilisation of ketone-bodies by brain in normal rats and rats with ketoacidosis. Lancet 1971;2:637-638. 48. Sokoloff L. Metabolism of ketone bodies by the brain. Ann Rev Med 1973;24:271-280. 49. Seymour KJ, Bluml S, Sutherling J, Sutherling W, Ross B. Identification of cerebral acetone by 1H-MRS in patients with epilepsy controlled by ketogenic diet. MAGMA 1999;8:33-42. 50. Rho JM, Anderson GD, Donevan SD, White HS. Acetoacetate, acetone, and dibenzylamine (a contaminant in 1-(+)-beta-hydroxybutyrate) exhibit direct anticonvulsant actions in vivo. Epilepsia 2002;43:358-361. 51. Likhodii SS, Musa K, Cunnane SC. Breath acetone as a measure of systemic ketosis assessed in a rat model of the ketogenic diet. Clin Chem 2002;48:115-120. 52. Musa-Veloso K, Likhodii SS, Cunnane SC. Breath acetone is a reliable indicator of ketosis in adults consuming ketogenic meals. Am J Clin Nutr 2002;76:65-70. 53. Freeman JM, Vining EPG, Pillas DJ, Pyzik PL, Casey JC, Kelly MT. The efficacy of the ketogenic diet-1998: A prospective evaluation of intervention in 150 children. Pediatrics 1998;102:1358-1363. 54. Rho JM, Sankar R. The pharmacologic basis of antiepileptic drug action. Epilepsia 1999;40:1471-1483. 55. Snead OC III. Basic mechanisms of generalized absence seizures. Ann Neurol 1995;37:146-157. 56. Snead OC III. Antiabsence seizure activity of specific GABAb and y-hydroxybutyric acid receptor antagonists. Pharmacol Biochem Behav 1996;53:73-79. 57. Marescaux C, Vergnes M, Bernasconi R. GABAB receptor antagonists: potential new antiabsence drugs. J Neural Transm 1992;35:179-188. 58. Coulter DA, Huguenard JR, Prince DA. Characterization of ethosuximide reduction of low-threshold calcium current in thalamic neurons. Ann Neurol 1989;25:582-593. 59. Leresche N, Parri HR, Erdemli G, Guyon A, Turner JP, Williams SR, Asprodini E, Crunelli V. On the action of the anti-absence drug ethosuximide in the rat and cat thalamus. J Neurosci 1998;18:4842-4853. 60. Hosford DA, Clark S, Cao Z, Wilson WA Jr, Lin F-H, Morrisett RA, Huin A. The role of GABAB receptor activation in absence seizures of lethargic (LH/LH) mice. Science 1992;257:398-401. 61. Huang R-Q, Bell-Horner CL, Dibas MI, Covey DF, Drewe JA, Dillon GH. Pentylenetetrazole-induced inhibition of recombinant y-aminobutyric acid type A (GABAA) receptors: mechanism and site of action. J Pharmacol Exp Ther 2001;298:986-995. 62. Bough KJ, Matthews PJ, Eagles DA. A ketogenic diet has different effects upon seizures induced by maximal electroshock and by pentylenetetrazol infusion. Epilepsy Res 2000;38:105-114. 63. Pollock GM, Shen DD. A timed intravenous pentylenetetrazol infusion seizure model for quantitating the anticonvulsant effect of valproic acid in the rat. J Pharmacol Methods 1985;13:135-146. 64. Olsen RW, Wong EHF, Stauber GB, King RG. Biochemical pharmacology of the y-aminobutyric acid receptor/ionophore protein. Fed Proc 1984;43:2773-2778. 65. Seutin V, Johnson SW. Recent advances in the pharmacology of quaternary salts of bicuculline. Trends Pharmacol Sci 1999;20:268-270. 66. Bough KJ, Gudi K, Han FT, Rathod AH, Eagles DA. An anticonvulsant profile of the ketogenic diet in the rat. Epilepsy Res 2002;50:313-325. 67. Snead OC III. y-Hydroxybutyrate model of generalized absence seizures: further characterization and comparison with other absence models. Epilepsia 1988;29:361-368. 68. Snead OC III. The ontogeny of [3H]y-hydroxybutyrate and [3H]GABAb binding sites: relation to the development of experimental absence seizures. Brain Res 1994;659;147-156. 69. Stafstrom CE, Thompson JL, Holmes GL. Kainic acid seizures in the developing brain: status epilep-ticus and spontaneous recurrent seizures. Dev Brain Res 1992;65:227-236. 70. Muller-Schwarze AB, Tandon P, Liu Z, Yang Y, Holmes GL, Stafstrom CE. Ketogenic diet reduces spontaneous seizures and mossy fiber sprouting in the kainic acid model. NeuroReport 1999;10:1517-1522. 71. Stafstrom CE, Wang C, Jensen FE. Electrophysiological observations in hippocampal slices from rats treated with the ketogenic diet. Dev Neurosci 1999;21:393-399. 72. Su SW, Cilio MR, Sogawa Y, Silveira D, Holmes GL, Stafstrom CE. Timing of ketogenic diet initiation in an experimental epilepsy model. Dev Brain Res 2000;125:131-138. 73. Rho JM, Kim DW, Robbins CA, Anderson GD, Schwartzkroin PA. Age-dependent differences in flurothyl seizure sensitivity in mice treated with a ketogenic diet. Epilepsy Res 1999;37:233-240. 74. Liptáková S, Velísek L, Velísková J, Moshé SL. Effect of ganaxolone on flurothyl seizures in developing rats. Epilepsia 2000;41:788-793. 75. Velísek L, Velísková J, Ptachewich Y, Shinnar S, Moshé SL. Effects of MK-801 and phenytoin on flurothyl-induced seizures during development. Epilepsia 1995;36:179-185. 76. Millichap JG, Jones JD, Rudis BP. Mechanisms of anticonvulsant action of ketogenic diet. Am J Dis Child 1964;107:593-604. 77. Appleton DB, DeVivo DC. An experimental animal model for the effect of ketogenic diet on epilepsy. Proc Aust Assoc Neurol 1973;10:75-80. 78. Nakazawa M, Kodama S, Matsuo T. Effects of ketogenic diet on electroconvulsive threshold and brain contents of adenosine nucleotides. Brain Dev 1983;5:375-380. 79. Davenport VD, Davenport HW. The relation between starvation, metabolic acidosis and convulsive seizures in rats. J Nutr 1948;36:139-151. 80. Hori A, Tandon P, Holmes GL, Stafstrom CE. Ketogenic diet: effects on expression of kindled seizures and behavior in adult rats. Epilepsia 1997;38:750-758. 81. Bitterman N, Skapa E, Gutterman A. Starvation and dehydration attenuate CNS oxygen toxicity in rats. Brain Res 1997;761:146-150. 82. Chavko M, Braisted JC, Harabin AL. Attenuation of brain hyperbaric oxygen toxicity by fasting is not related to ketosis. Undersea Hyperbaric Med 1999;26:99-103. 83. Mahoney AW, Hendricks DG, Bernard N, Sisson DV. Fasting and ketogenic diet effects on audiogenic seizure susceptibility of magnesium deficient rats. Pharmacol Biochem Behav 1983;18:683-687. 84. White HS, Wolf HH, Woodhead JH, Kupferberg HJ. The National Institutes of Health anticonvulsant drug development program: Screening for efficacy. In: French J, Leppik I, Dichter MA (eds.). Advances in Neurology, Antiepileptic Drug Development, Vol. 76. Lippincott-Raven, Philadelphia, 1998, pp. 29-47. 85. Gale K. Chemoconvulsant seizures: advantages of focally-evoked seizure models. Ital J Neurol Sci 1995;16:17-25. 86. Miller JW, McKeon AC, Ferrendelli JA. Functional anatomy of pentylenetetrazol and electroshock seizures in the rat brainstem. Ann Neurol 1987;22:615-621. 87. Okada R, Negishi N, Nagaya H. The role of the nigrotegmental GABAergic pathway in the propagation of pentylenetetrazole-induced seizures. Brain Res 1989;480:383-387. 88. Zapater P, Javaloy J, Román JF, Vidal MT, Horga JF. Anticonvulsant effects of nimodipine and two novel dihydropyridines (PCA 50922 and PCA 50941) against seizures elicited by pentylenetetrazole and electroconvulsive shock in mice. Brain Res 1998;796:311-314. 89. Fischer W, van der Groot H. Effect of clobenpropit, a centrally acting histamine H3-receptor antagonist, on electroshock- and pentylenetetrazole-induced seizures in mice. J Neural Transm 1998;105:587-599. 90. Rostock A, Tober C, Rundfelt C, Bartsch R, Engel J, Polymeropoulos EE, Kutscher B, Löscher W, Honack D, White HS, Wolf HH. D-23129: a new anti-convulsant with a broad spectrum of activity in animal models of epileptic seizures. Epilepsy Res 1996;23:211-223. 91. Cooper EC. Potassium channels: how genetic studies of epileptic syndromes open paths to new therapeutic targets and drugs. Epilepsia 2001;42 (Suppl 5):S49-S54. 92. Otto JF, Kimball MM, Wilcox KS. Effects of the anticonvulsant retigabine on cultured cortical neurons: changes in electroresponsive properties and synaptic transmission. Mol Pharmacol 2002;61:921-927. 93. Lack D. The factors limiting mammals. In: Lack D (ed.). The Natural Regulation of Animal Numbers. Clarendon, Oxford, UK, 1954, Chapter 16. 94. Institute of Laboratory Animal Resources, Commission on Life Sciences, National Research Council. Guide for the Care and Use of Laboratory Animals. National Academy Press, Washington, DC, 1996. 95. Friedman JM. A war on obesity, not the obese. Science 2003;299:856-858. 96. Bolis CL. Epilepsy in developing countries. In: Penry JK (ed.). Epilepsy. The Eighth International Symposium. Raven, New York, 1977, pp. 355-357. 97. Moshe SL, Albala BJ, Ackermann RF, Engel J Jr. Increased seizure susceptibility of the immature brain. Dev Brain Res 1983;7:81-85. 98. Medina MT, Rosas E, Rubio-Donnadieu F, Sotelo J. Neurocysticercosis as the main cause of late-onset epilepsy in Mexico. Arch Intern Med 1990;150:325-327. 99. Shorvon SD, Bharucha NE. Epilepsy in developing countries: epidemiology, aetiology and health care. In: Laidlaw J, Richens A, Chadwickle D (eds.). A Textbook of Epilepsy, 4th ed. Churchill Livingston, Edinburgh, 1993, pp. 613-630. 100. Palencia G, Calvillo M, Sotelo J. Chronic malnutrition caused by a corn-based diet lowers the threshold for pentylenetetrazole-induced seizures in rats. Epilepsia 1996;37:583-586. 101. Withrow CD. The ketogenic diet: mechanisms of anticonvulsant action. In: Glaser GH, Penry JK, Woodbury DM (eds.). Antiepileptic Drugs: Mechanisms of Action. Raven, New York, 1980, pp. 635-642. 102. Noebels JL, Rees M, Gardiner RM. Molecular genetics and epilepsy genes. In: Engel J Jr, Pedley TA (eds.). Epilepsy: A Comprehensive Textbook, Vol. 1. Lippincott-Raven, Philadelphia, 1997, pp. 211-216. 103. Seyfried TN, Todorova MT, Poderycki MJ. Experimental models of multifactorial epilepsies: the EL mouse and mice susceptible to audiogenic seizures. Adv Neurol 1999;79:279-290. 104. Dzeja PP, Terzic A. Phosphotransfer reactions in the regulation of ATP-sensitive K+ channels. FASEB J 1998;12:523-529. 105. Ziegler DR, Araujo E, Rotta LN, Perry ML, Gongalves C-A. A ketogenic diet increases protein phosphorylation in brain slices of rats. J Nutr 2002;132:483-487. 106. Pan JW, Bebin EM, Chu WJ, Hetherington HP. Ketosis and epilepsy: 31P spectroscopic imaging at 4.1 T. Epilepsia 1999;40:703-707. 107. Baukrowitz T, Schulte U, Oliver D, Herlitze S, Krauter T, Tucker SJ, Ruppersberg JP, Fakler B. PIP2 and PIP as determinants for ATP inhibition of K^jp channels. Science 1998;282:1141-1144. 108. Shyng S-L, Nichols CG. Membrane phospholipid control of nucleotide sensitivity of K^jP channels. Science 1998;282:1138-1141. 109. Yamada K, Ji JJ, Yuan H, Miki T, Sato S, Horimoto N, Shimizu T, Seino S, Inagaki N. Protective role of ATP-sensitive potassium channels in hypoxia-induced generalized seizure. Science 2001;292:1543-1546. 110. Faraci FM, Heistad DD. Regulation of the cerebral circulation: role of endothelium and potassium channels. Physiol Rev 1998;78:53-97. 111. Thompson RJ, Nurse CA. Anoxia differentially modulates multiple K+ currents and depolarizes neonatal rat adrenal chromaffin cells. J Physiol 1998;512.2:421-434. 112. Kekwick A, Pawan GLS. The effect of high fat and high carbohydrate diets on rates of weight loss in mice. Metabolism 1964;13:87-97. 113. Hawkins RA, Mans AM, Davis DW. Regional ketone body utilization by rat brain in starvation and diabetes. Am J Physiol 1986;250:E169-E178. 114. Hasselbalch SG, Knudsen GM, Jakobsen J, Hageman LP, Holm S, Paulson OB. Brain metabolism during short-term starvation in humans. J Cereb Blood Flow Metab 1994;14:125-131. 115. Davis JW, Wirtshafter D, Asin KE, Brief D. Sustained intracerebroventricular infusion of brain fuels reduces body weight and food intake in rats. Science 1981;212:81-83. 116. Sun M, Martin RJ, Edwards GL. ICV ß-hydroxybutyrate: effects on food intake, body composition, and body weight in rats. Physiol Behav 1997;61:433-436. 117. Kelly KM, Gross RA, Macdonald RL. Valproic acid selectively reduces the low-threshold (T) calcium current in rat nodose neurons. Neurosci Lett 1990;116:233-238. 118. MacLean MJ, Macdonald RL. Sodium valproate, but not ethosuximide, produces use- and voltage-dependent limitation of high frequency repetitive firing of action potentials of mouse central neurons in cell culture. J Pharmacol Exp Ther 1986;237:1001-1011. 119. Stefan H, Snead OC III. Absence seizures. In: Engel J Jr, Pedley TA (eds.). Epilepsy: A Comprehensive Textbook, Vol. 2. Lippincott-Raven, Philadelphia, 1997, pp. 579-590. 120. DeVivo DC, Trifiletti RR, Jacobson RI, Ronen GM, Behmand RA, Harik SI. Defective glucose transport across the blood-brain barrier as a cause of persistent hypoglycorrhachia, seizures, and developmental delay. N Engl J Med 1991;325:703-709. 121. Erecinska M, Nelson D, Daikhin Y, Yudkoff M. Regulation of GABA level in rat brain synaptosomes: fluxes through enzymes of the GABA shunt and effects of glutamate, calcium, and ketone bodies. J Neurochem 1996;67:2325-2334. 122. Yudkoff M, Diakhin Y, Nissim I, Lazarow A, Nissim I. Brain amino acid metabolism and ketosis. J Neurosci Res 2001;66:272-281. 123. Yudkoff M, Diakhin Y, Nissim I, Lazarow A, Nissim I. Ketogenic diet, amino acid metabolism, and seizure control. J Neurosci Res 2001;66:931-940.